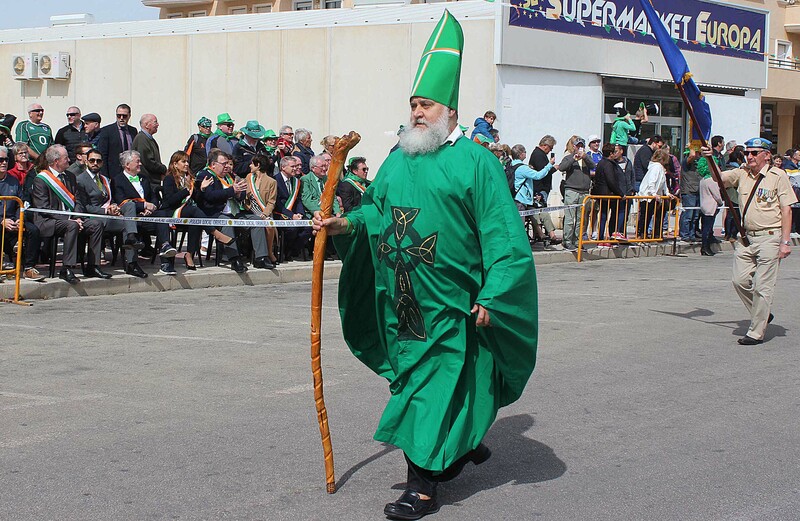 This week’s lead is all about St Patrick who, quite rightly features in the front page story, more especially the St Patrick’s Parade in Cabo Roig, the Grand Marshall of which was Former Irish Taoiseach, Brian Cowan. Even the Leader got in on the act with our photographs used by many of Ireland’s national press. After St Patrick the next major festival in the area is Holy Week, which gets underway in Orihuela on 25 March, Palm Sunday, with transport laid on to the city from the Playa Flamenca Town Hall. Detail on page 6 along with information about the main parades.